MDS Monday – Christmas in August! I don’t know about you, but as far as I am concerned it is never to soon to start thinking about Christmas! Last year I cut over 3,000 Christmas cards for customer classes, stamp camps, and workshops; therefore, I need LOTS of time to prepare for this big holiday! 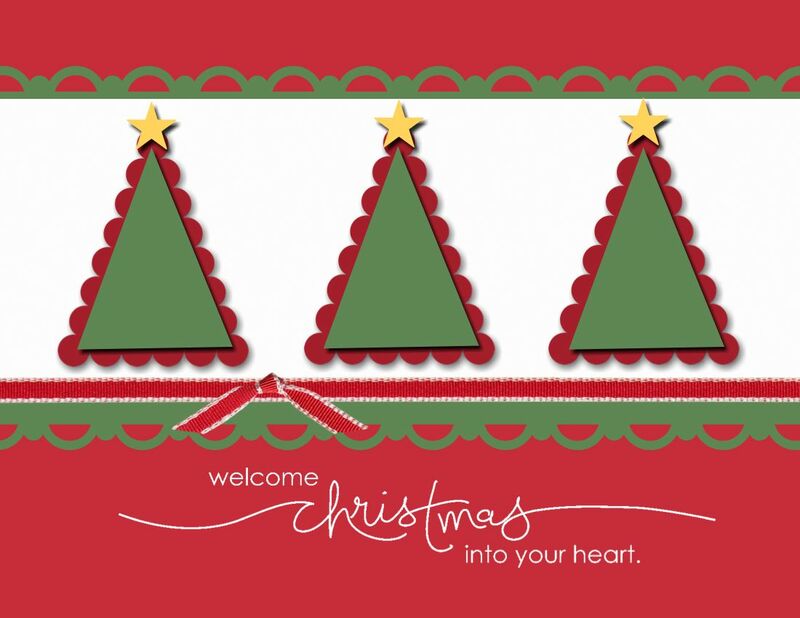 I have already designed two Christmas card classes – details will be posted soon – and I am working on a third!!! Today our MDS challenge is Christmas in August. I thought it would be fun to create an MDS card of one I have already created on paper! I am showing both here! The MDS Version uses the Pennant Punch to create the Christmas trees and the star punch for the star topper. The paper version actually uses the Pennant Parade stamp set and then the Pennant Punch to give it some dimension! The star is an image from the stamp set.